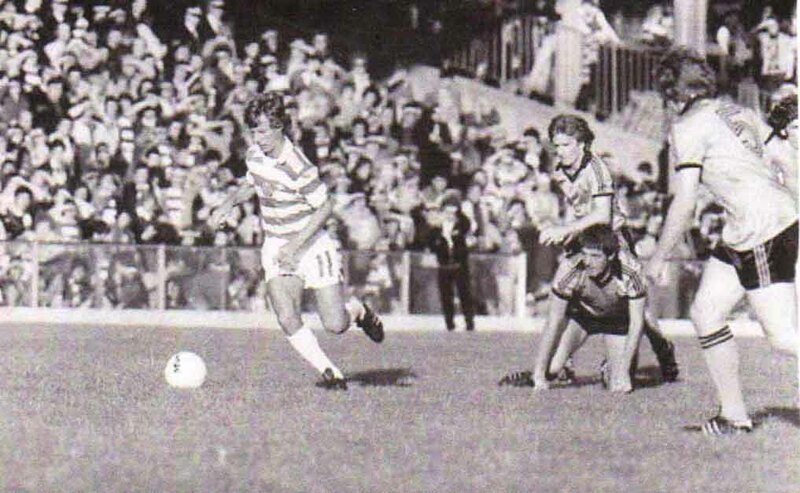 Pic 1 is from 1977. Who are the opposition and who is the ex Celt running alongside Johnny Doyle? Pic 2 shows a goal by Tom McAdam. 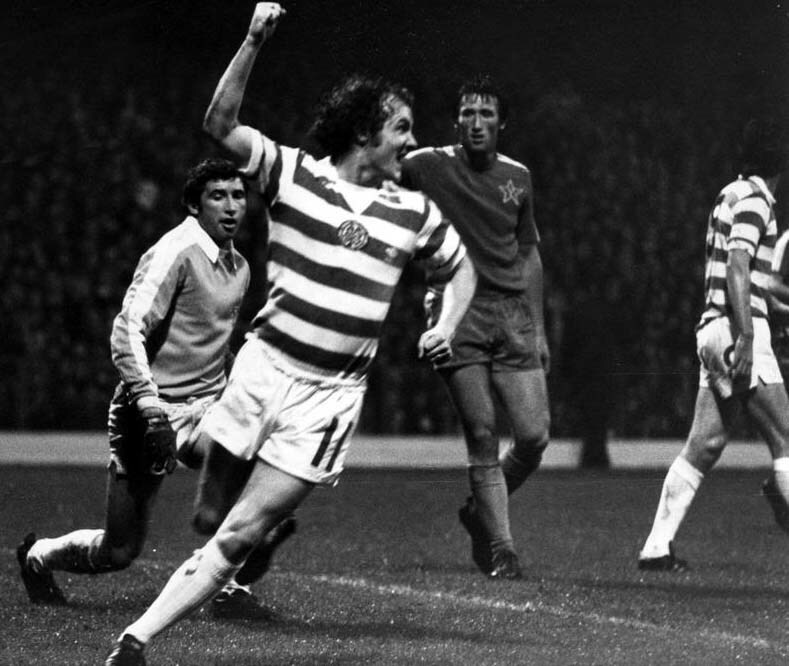 Who are Celtic’s opponents and what was most unusual about this goal? 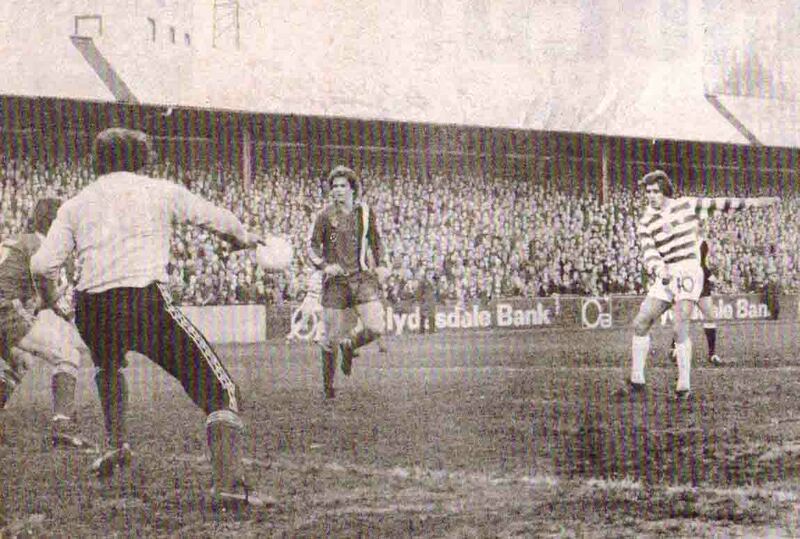 Pic 3 shows Vic Davidson in action against Dundee United in late 1979. Who are the two United players in the picture whose faces you can see? 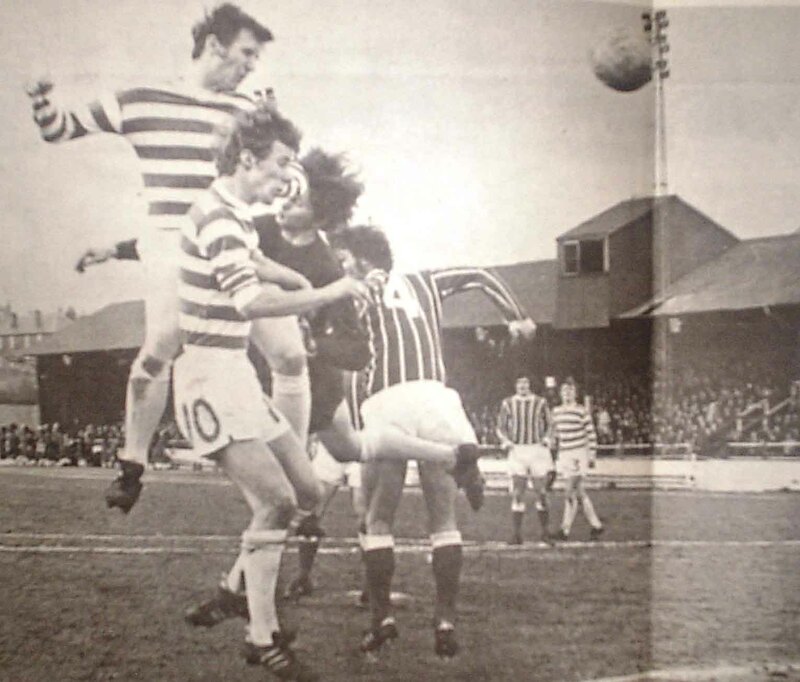 Pic 4 is from a Celtic Dunfermline game in 1974. Who is the Celtic player in the number 13 shorts? 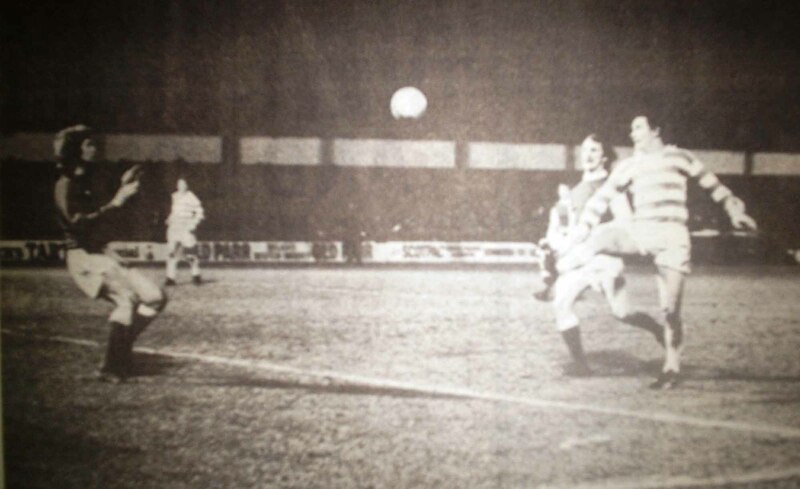 Pic 5. Who is the Celtic player scoring at Easter Road in 1975? Pic 6. 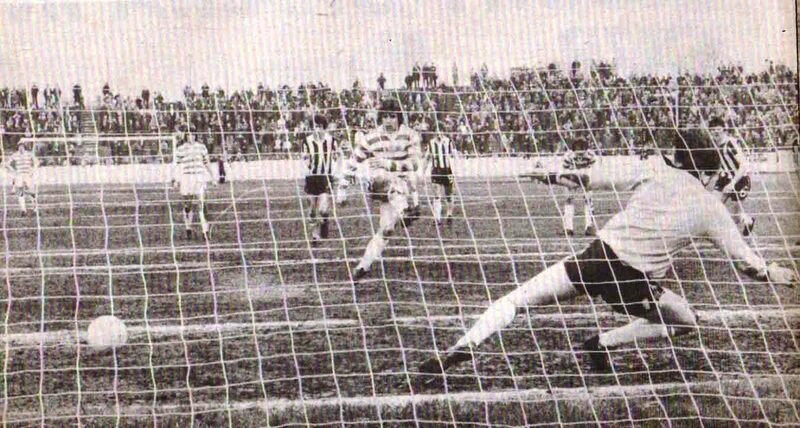 Which ground are Celtic playing at in this photo and who is the keeper pictured? 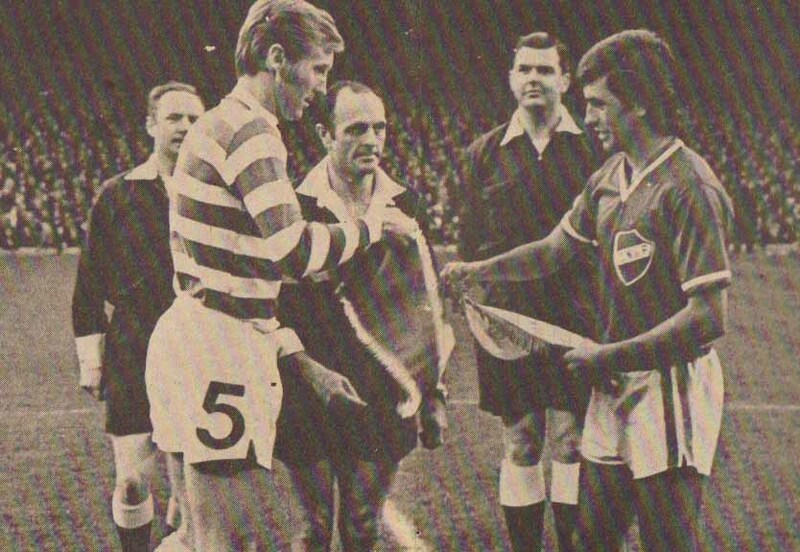 Pic 7 shows Billy McNeill exchanging pennants with an opposition captain from 1971. Who are the opponents? 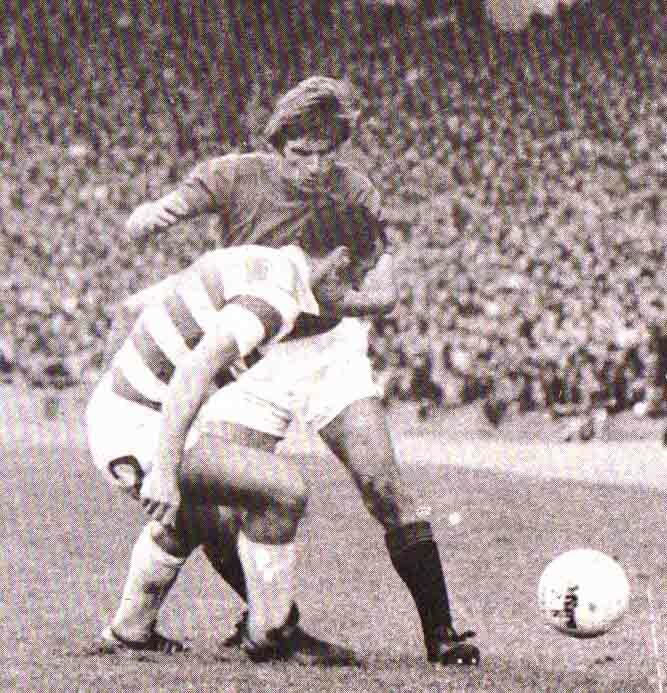 Pic 8 has action from a European cup game with Johnny Doyle. 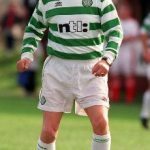 Who are Celtic playing? 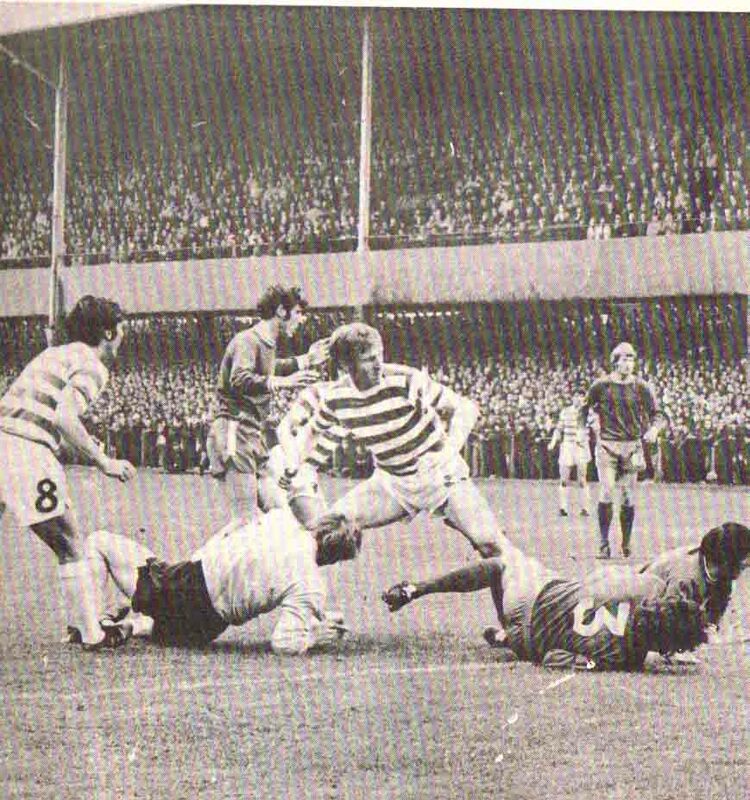 Pic 9 is from an Old Firm game in 1976. Who is the Rangers player on show? 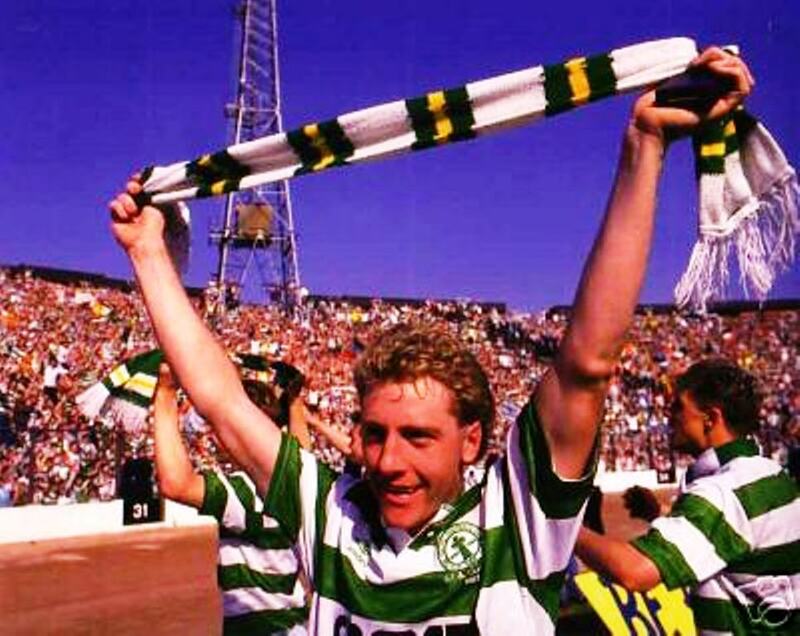 Pic 10 shows Celtic away in Europe. 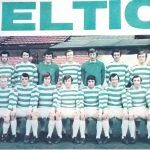 Who are the opponents and who is the Celtic number 16 at the back post? 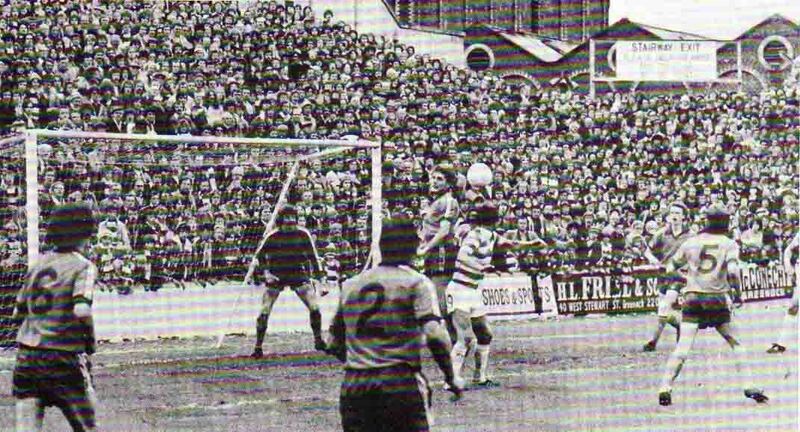 Pic 11 shows Ronnie Glavin scoring a penalty at Love Street in April 1978. What was especially significant about this goal? 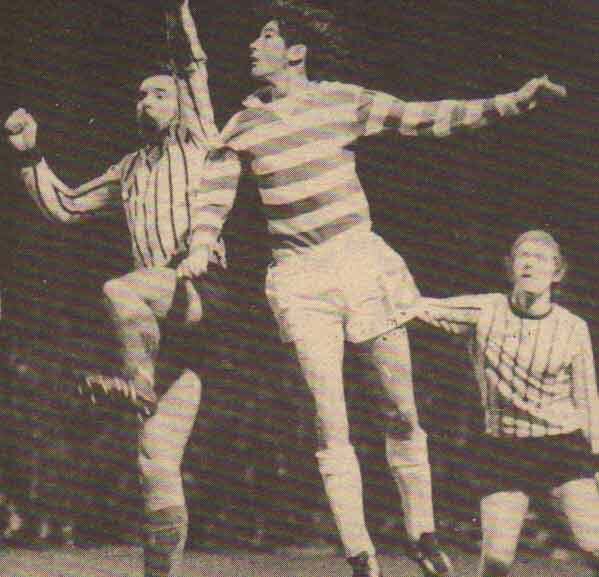 Pic 12 is from a European Cup away game and shows Billy McNeill on the attack. 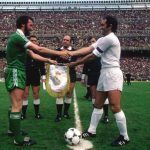 Who are the opponents and what is the name of stadium? Pic 13. 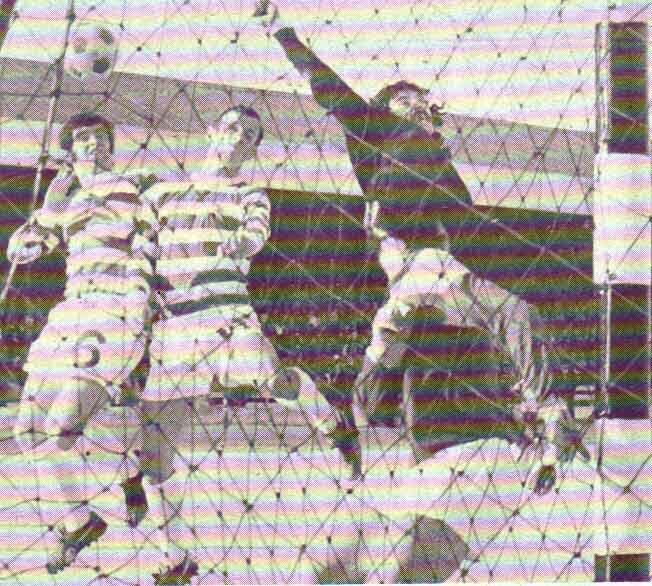 Bobby Lennox is seen in this one. Which away ground is this? 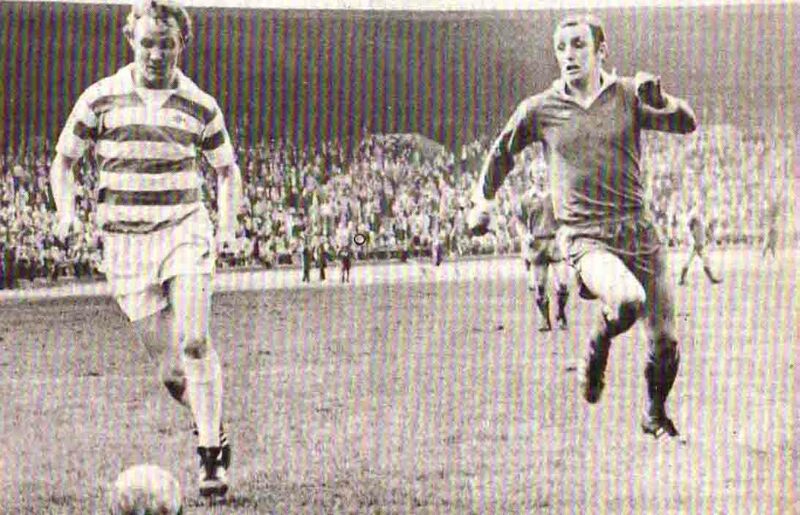 Pic 14 sees Jinky at Ibrox Park. 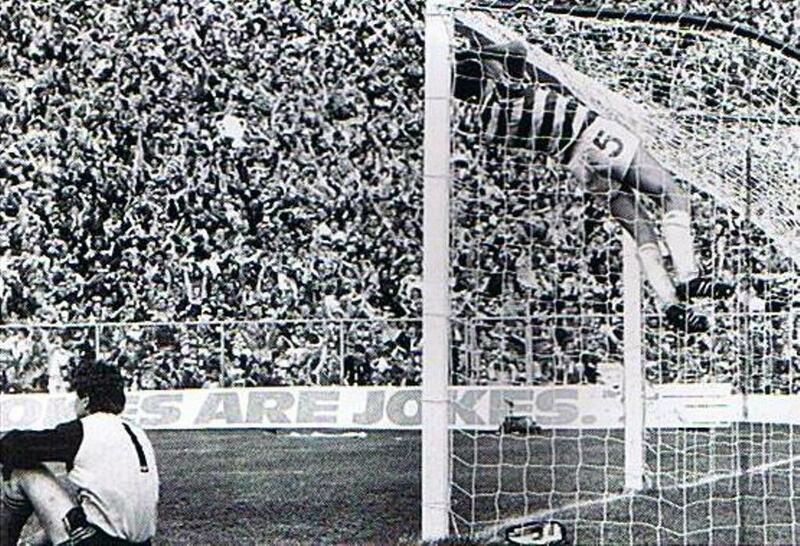 Who is the Rangers keeper on the ground? Pic 15. 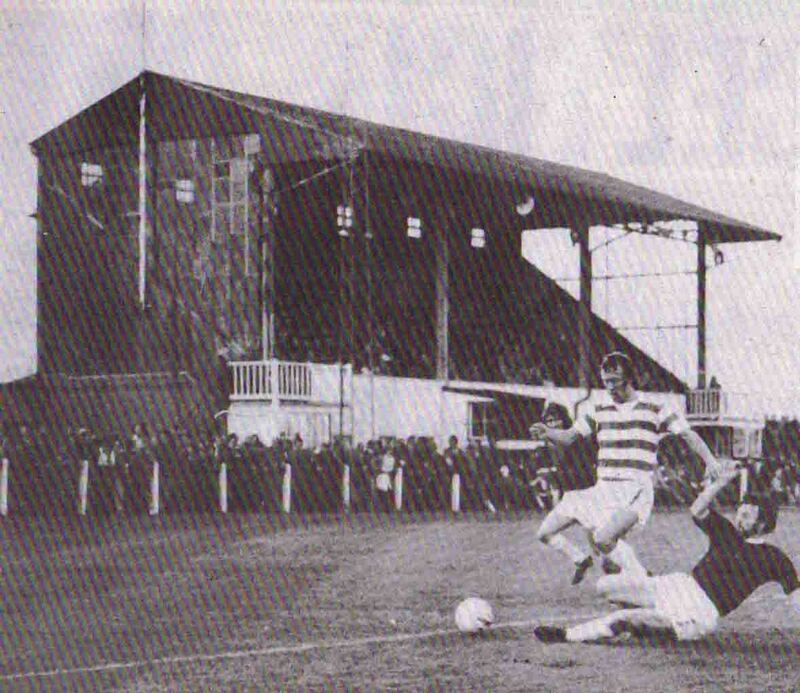 Which ground are Celtic seen playing on from 1971? Answers will follow in due course. Keep an eye on the comments section below. Score 0-5 – You are clearly of the younger generation. 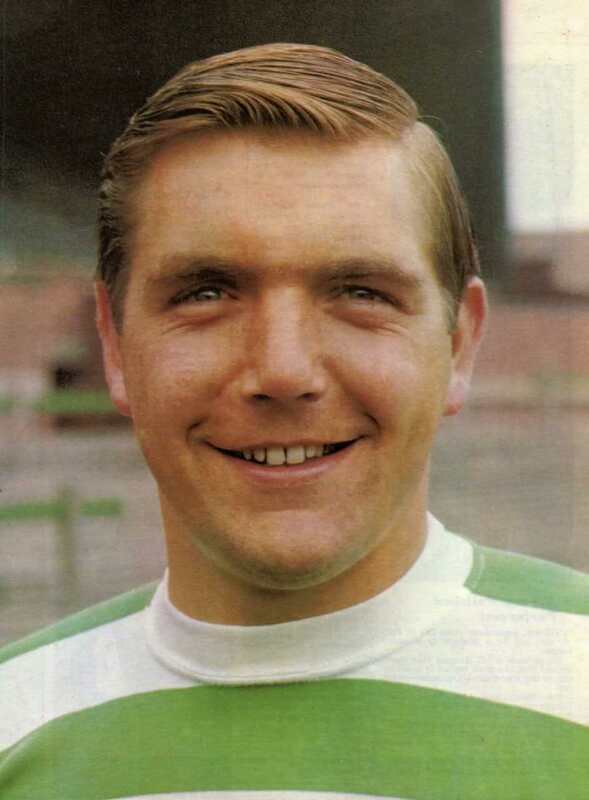 Away and ask your Dad what a real Celtic team was like! Either that or you were blootered throughout an era where you could still openly take a ‘kerry oot’ into the game and can recall little from your youth. Score 6-10 – Gallant effort. 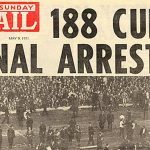 Perhaps you were one of the band of fans who abandoned ship when old Dessie White began to sell the crown jewels in the mid 70’s – Macari, Dalglish and Hay. Score 11-14 – Superb. Your surname is obviously either Campbell, Potter or Woods. 15 – Get a life for goodness sake !